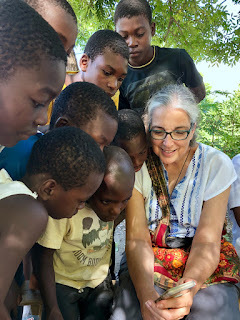 Some of my Real Heroes of Clean Water Around the World - Thankful! Today is Thanksgiving and I'm thankful for so many things in my life. I'd like to introduce you to some of my heroes of clean water around the world. First up is my wife Sheri who has been with me all along the journey of life! We've been married 34 years and she is one of the kindest, Godly women you will ever meet! She is my best friend and has supported everything I do. I could not possibly succeed on this clean water journey without her! Thank you, Sheri! Lee Larson...AKA Dad! 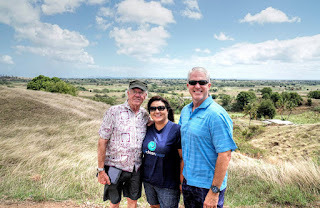 My dad has been with me on several clean water trips to Fiji and is the best social media "sharer" I know! I'm thankful for his never-ending support of all I do in Life. Alon Banks and I have worked together since1998 where we first met while working for Amor Ministries. 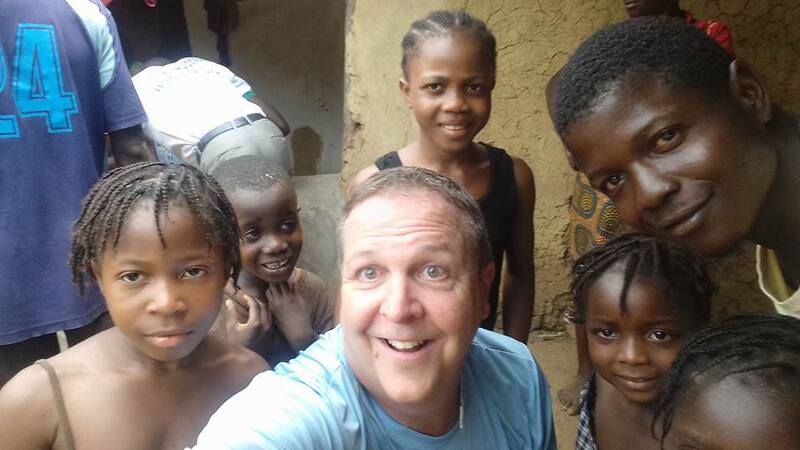 He is the Executive Director of Give Clean Water and is one of the most genuine, kind, smart, and funny guys I know. 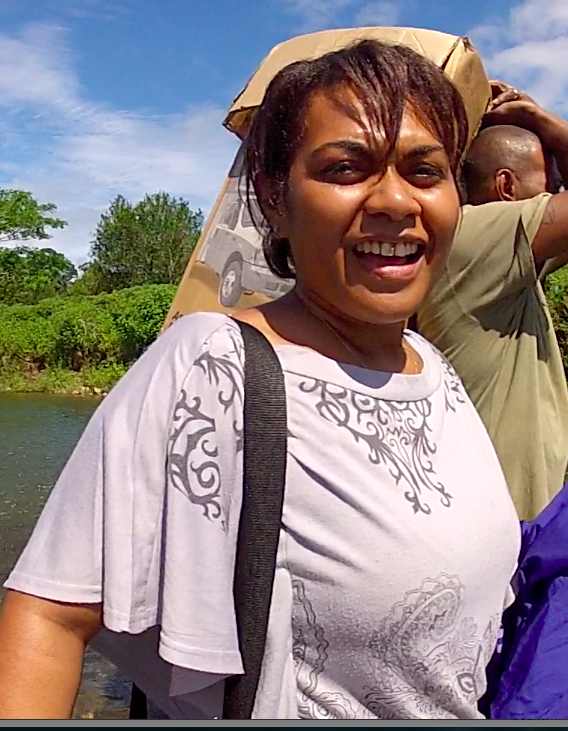 I'm so grateful to be on the journey with him of giving clean water to the entire country of Fiji! Steve Jolly (far right) is the Operations Director for Give Clean Water and is pictured with Avinesh Naiker and David Reddy who are part of the Give Clean Water staff in Fiji. These guys get it done! 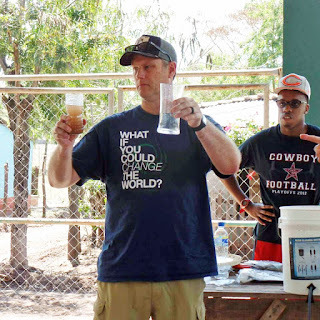 David Reddy has been with Give Clean Water since its beginning in 2008! He and his wife Illy are both on the GCW staff and have 3 beautiful children! 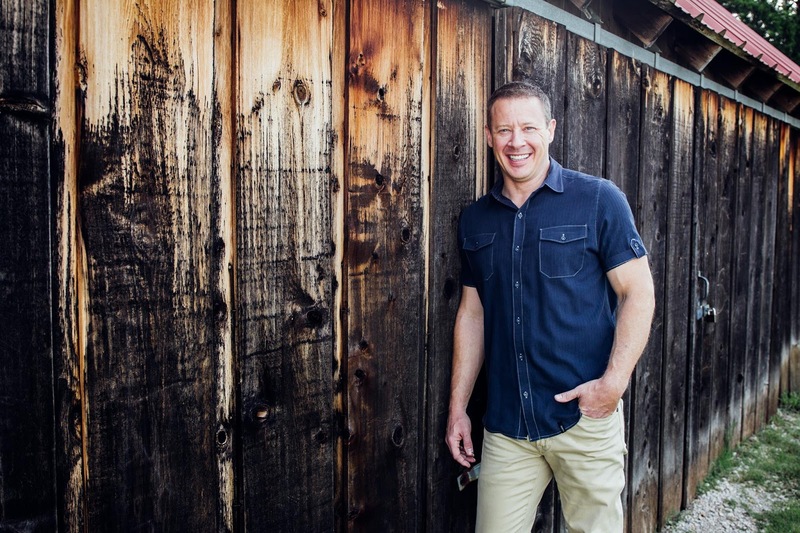 Todd Phillips is the Executive Director of The Last Well and is one of the most dynamic leaders I've ever met. 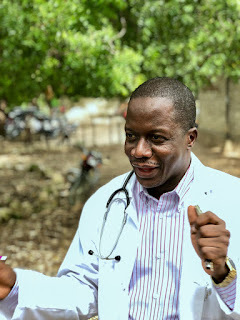 He leads the charge in giving the entire country of Liberia clean water by December of 2020. 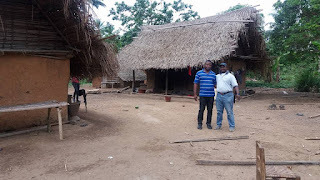 Randy LeTourneau is the VP of The Last Well and the person I hang out with the most on my Liberia trips. He is a logistical wizard! Dennis Aggrey wins the "Best Smile in Africa" award. 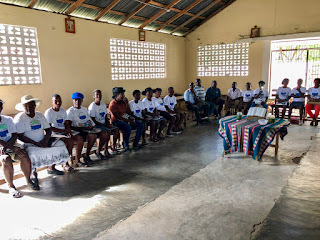 He's the Director of CRCA, an amazing organization in Liberia committed to using clean water as a tool to share the gospel, as well as plant and disciple churches. 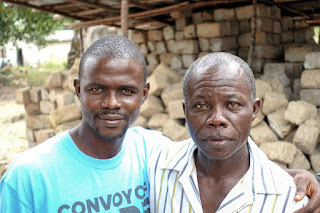 Sam Tablo (pictured on the right) works for CRCA as their missions pastor and is one of the key trainers of the Sawyer Water filters in Liberia. He is a kind and compassionate leader who leads from the front lines. Elijah Harley (left) leads the Assembly of God clean water team of 20 people in Liberia. They are all dear friends of mine! They use clean water as a tool to share the gospel and plant 650 new churches in Liberia by 2020. He is also a key Sawyer filter trainer in Liberia. 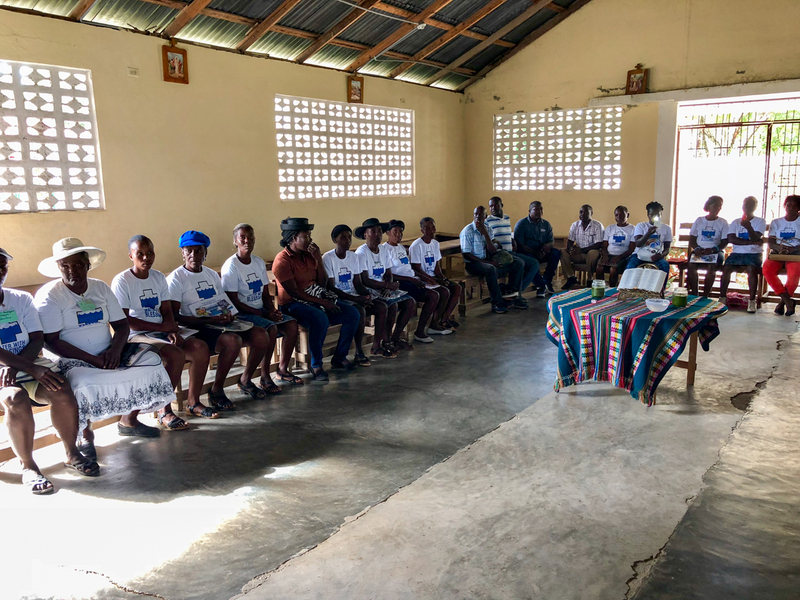 There are too many to mention individually, but there are over 125 trained filter installers in Liberia who are on the front lines every day changing people's lives! Sister Larraine Lauter leads Water With Blessings in Honduras, Haiti, and in over 40 other countries around the world! 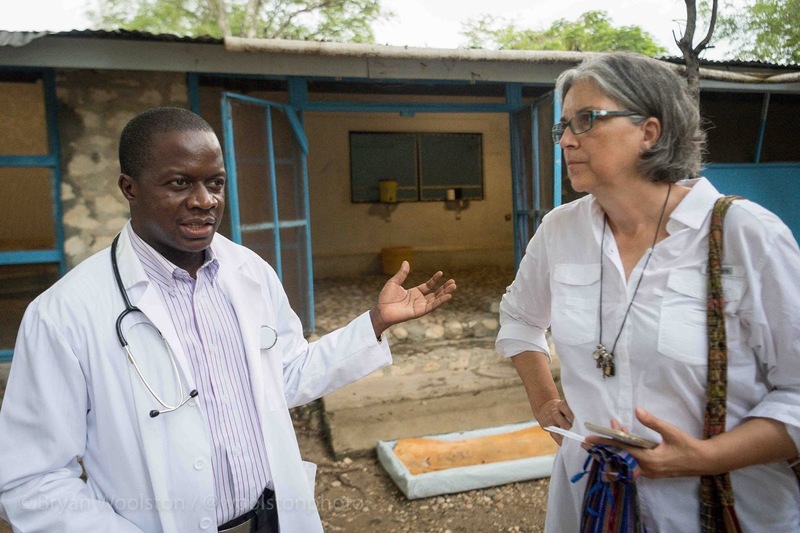 She has an amazing program called Water Women and is currently working to eliminate Cholera in Haiti. 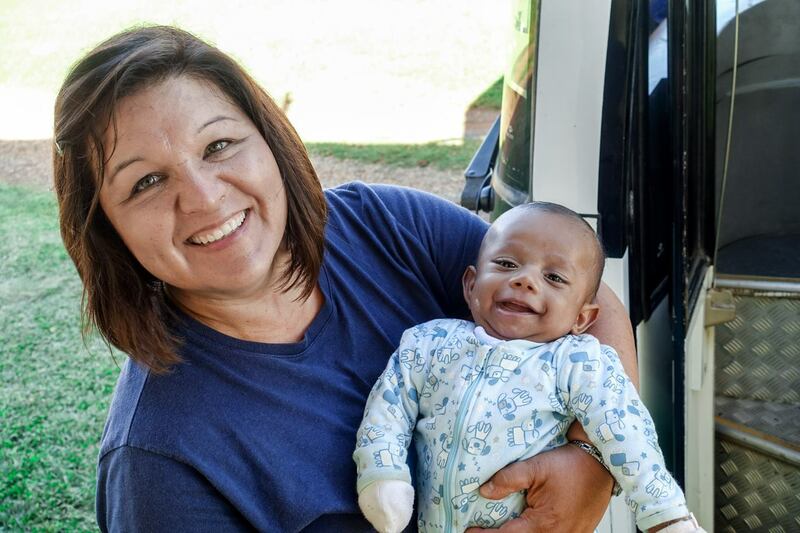 She is a clean water rock star! 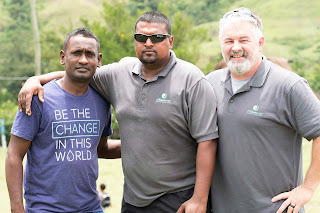 Simon Gounder is my good buddy who got me started in Fiji and currently serves on the Give Clean Water board. 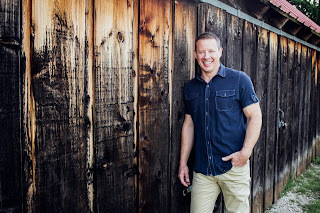 He also leads an amazing ministry called Global Aim and has helped launch a clean water initiative in India. I was with Simon the first time I ever went to Fiji and it was like walking around with Elvis! Everybody knows this guy! 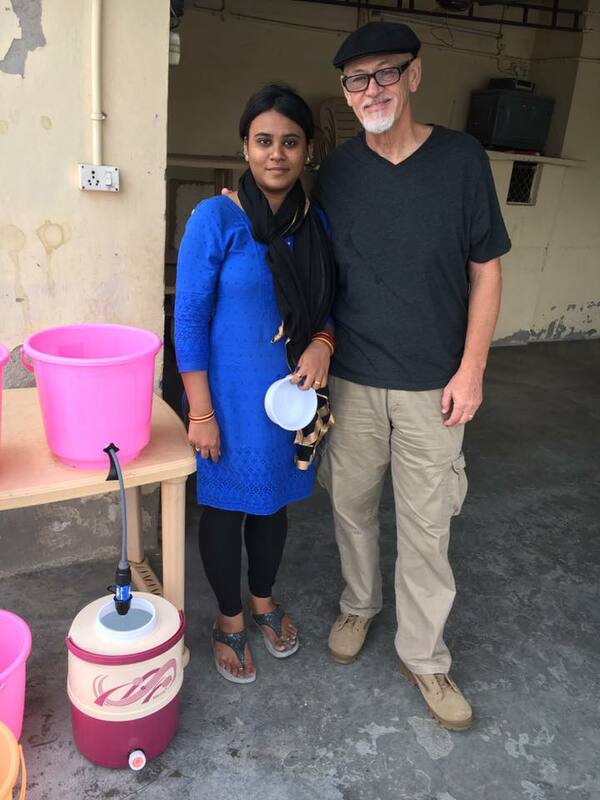 Mark Tyler works for Global Aim and is training teams in India on water filter installations and data collection. 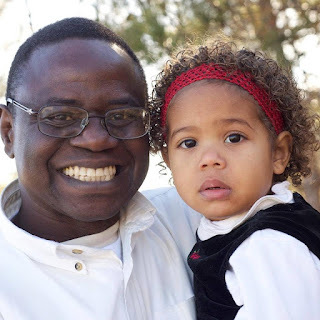 He is a retired Marine and knows how to get it done while maintaining a gentle, compassionate heart. Jordan and April Congdon lead the Amor Ministries team in the Yucatan Peninsula and have begun installing clean water systems in that part of Mexico. I've known Jordan since he was a little kid and he has grown up to become quite a leader! He was an elite football (Nebraska and USC kicker) and soccer athlete and continues to use those skills to reach out to children in Mexico. These are just a few of the amazing people I get to work with around the world! They have all committed their lives to serve the poor and I'm thankful and grateful to serve with them on the clean water journey! Clean Water Saving and Changing Lives? - Here is Proof! The vision of providing clean drinking water to the world is something I wake up thinking about every day. Why? 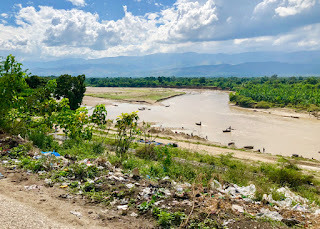 Well for starters, it's a fact that 3.4 million people die every year from waterborne sickness making bacterially contaminated water the #1 killer in the world. Secondly, I've personally met people from all over the world who have lost loved ones due to a lack of safe drinking water. My conversations with them live permanently in my heart. I traveled to a Fijian village a few years ago with a Doctor who told me she recently had 2 different mothers bring their dead babies to her clinic. 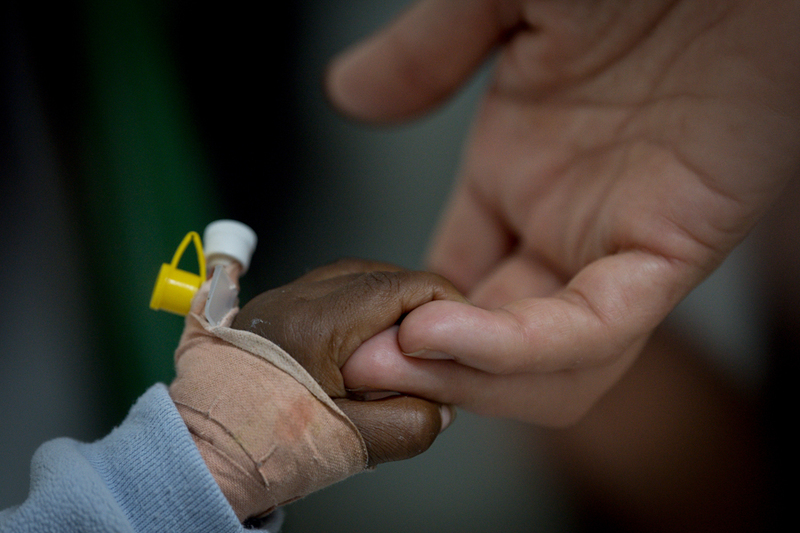 Both babies died from severe dehydration as a result of drinking bacteria-filled water. 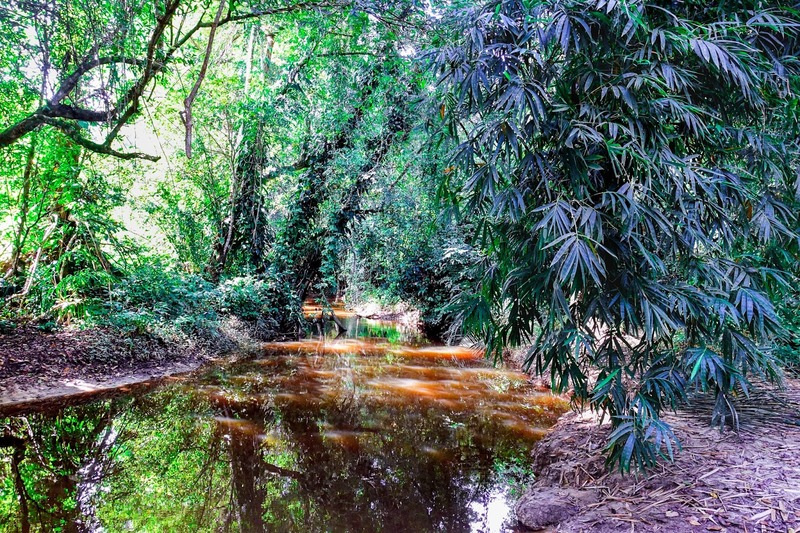 On a recent trip to Liberia, a mother who lived in a rural bush village begged me to bring water filters to her village because the creek where they fetched their water from was literally killing her children. I learned that a common set of questions in Liberia is "how many children have you birthed?" and "how many children are still living?" Do these conversations bother you as much as they bothered me? They are real and very common in many parts of the world. So my days are consumed with the following thoughts... How can I get more clean drinking water filter systems into the homes of people who so desperately need them? 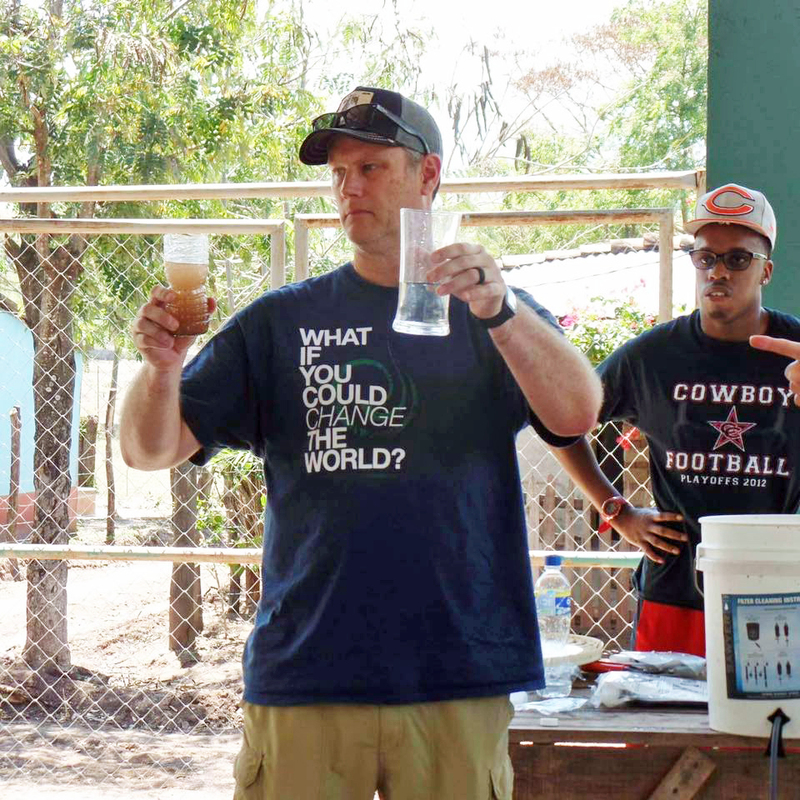 Who can I train and equip so the impact of clean water will exponentially multiply? 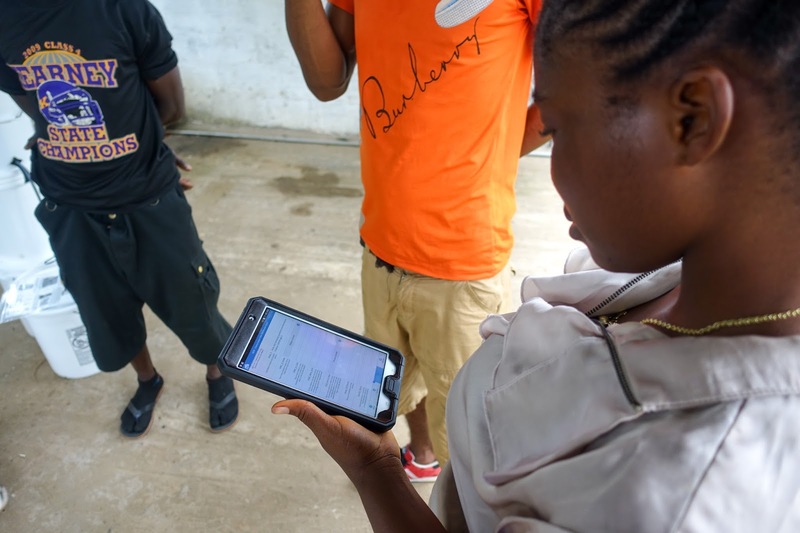 And how can I use my love for systems to help organizations not only track the amount of clean water they give, but also track the impact that clean water has on diarrhea reduction, kids missing less school, adults missing less work, medical cost savings, and purchased water savings? When you follow my travels, this is what I'm doing. A key nitch of my clean water journey has been "proving" all of these changes with real-life data collected on smartphones and tablets. I guess you could say I spend a lot of my time building capacity into people from different countries teaching them not only how to install and sustain water filter systems, but also to conduct surveys of each household that receives a clean water system. 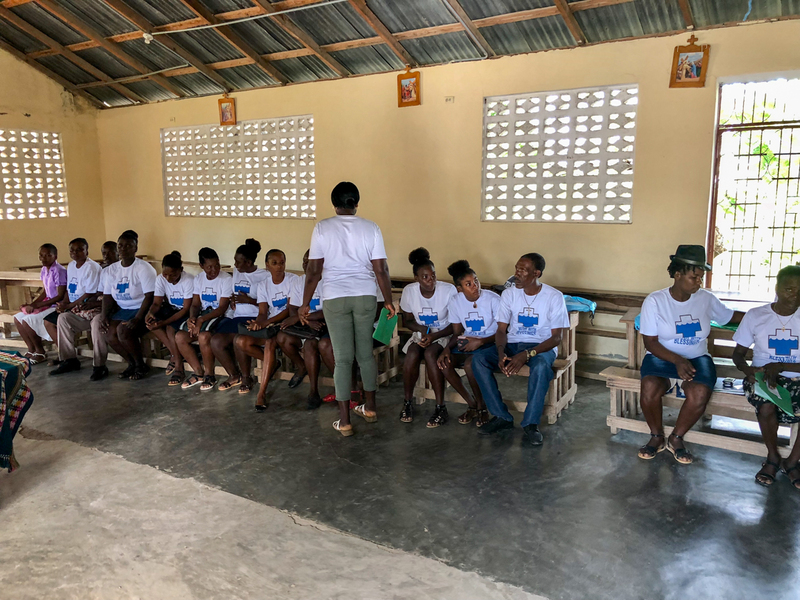 These "before and after" surveys are proving and quantifying how clean water is changing lives. Here is an example. 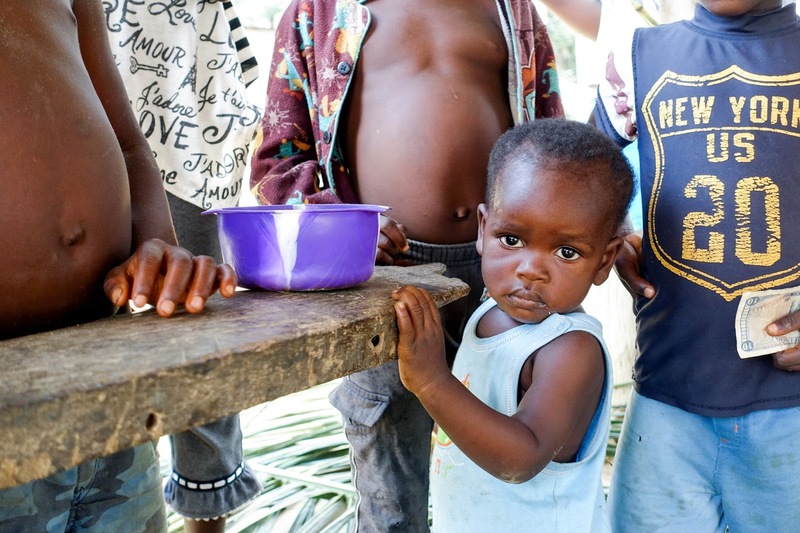 In a recent batch of 3.000 households surveyed, 2,197 of them reported cases of diarrhea. 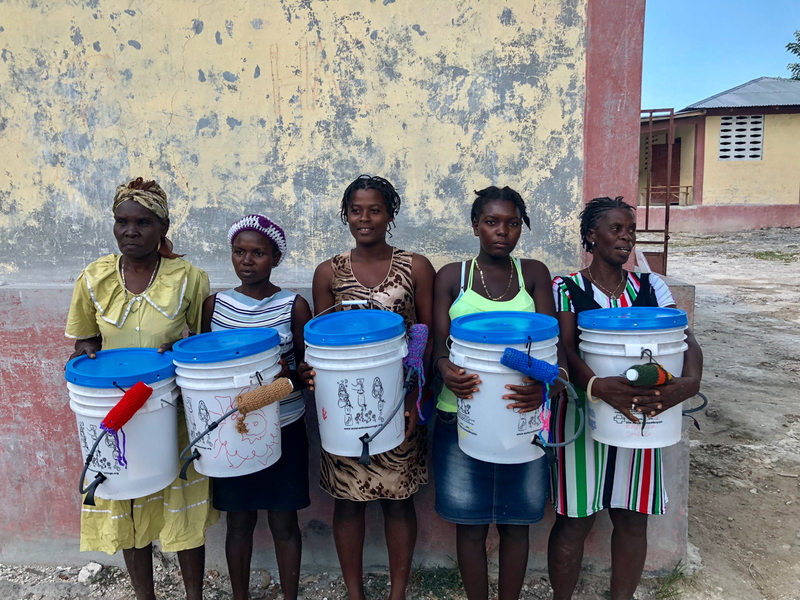 Two weeks after those families received water filter systems in their homes, that number was down to only 107 cases of diarrhea! That's a 95% reduction! 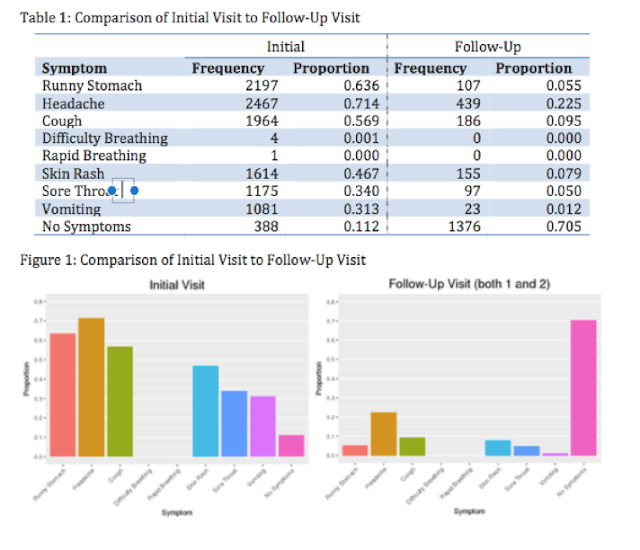 Coughs, sore throats, skin rash, vomiting, and headache all had dramatic decreases as well. 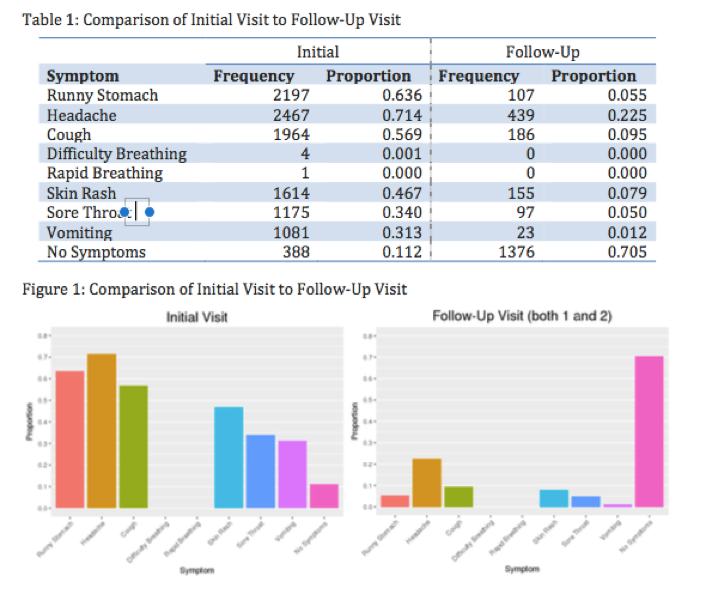 There was also a big increase in households that reported "No symptoms" after the first follow up. In addition to the stats, we can track everything we collect on a map. 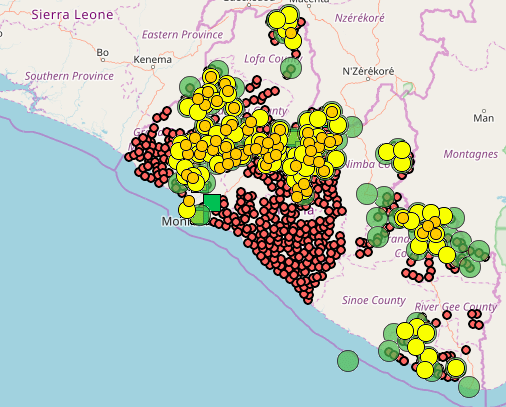 Here are maps of our progress in Liberia. Fuamah District, Bong County Liberia - Each dot represents a cluster of villages. I think you get the idea. Data is "the deal." 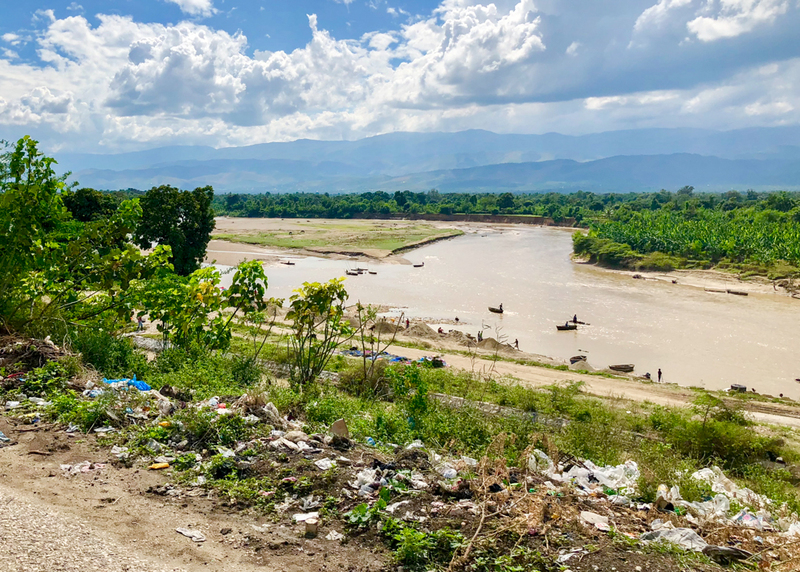 To date, I've had the privilege of personally training data teams in Fiji, Liberia, Mexico, Kenya, India, and Haiti, and being a part of installing filter systems in over 30 countries! I love my job! In my next post, I'll introduce you to some of my favorite clean water heroes around the world! 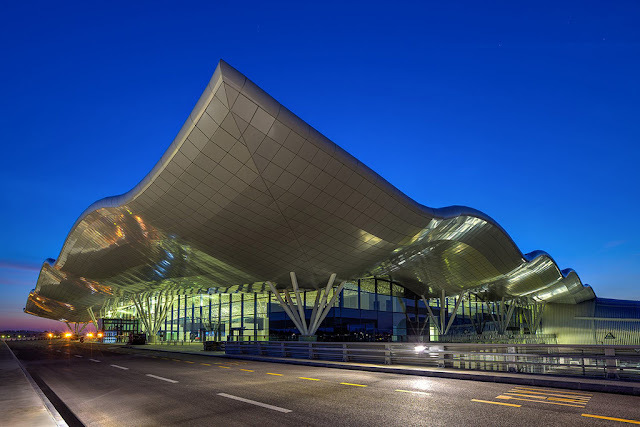 We arrived in Zagreb, Croatia to a brand new airport. Our hosts from the company "GIS Cloud" told us even they were surprised at how nice it was. 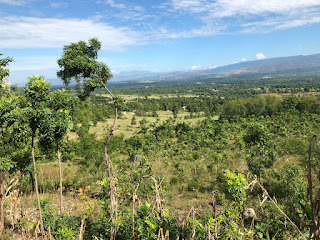 They took us to our hotel where we quickly checked in and then headed for the town center where the evening temperature was 40 degrees and dropping. There is something magical when the air is cold, Christmas decorations are going up in the city, and Chestnuts are literally being roasted on an open fire. 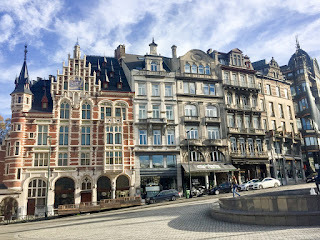 When we arrived we thought we'd be visiting a small town square, but we were surprised by a massive, bustling city center that must have stretched over a square mile. The was a small farmers market loaded with local goods like honey, salami, bacon, produce, eggs, lavender, flowers, and what looked like local essential oils. 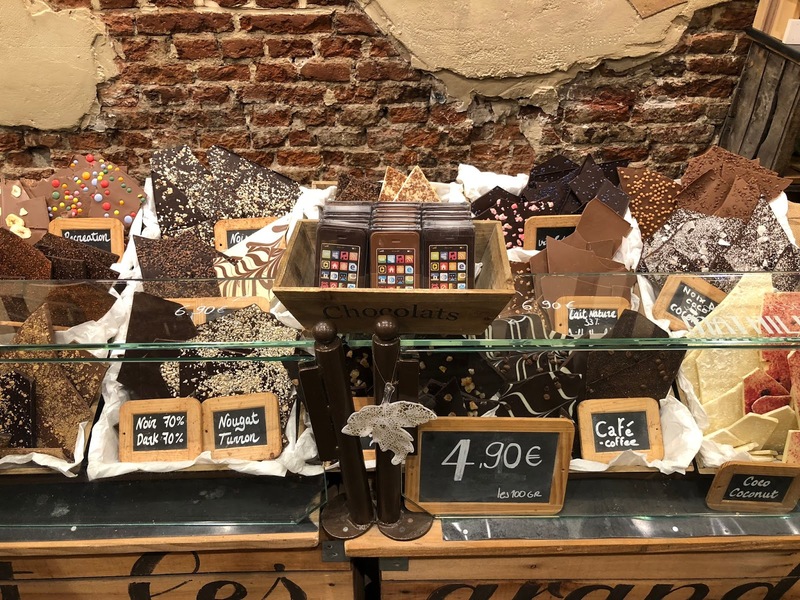 There were endless retail shopping stores and lots of heated street-style restaurants with a variety of food ranging from burgers and pizza to coffee and gelato. We ended up going with a burger which was delicious and some apple cake for dessert. It was a beautiful evening, but we knew we'd need to return the next day to cover the rest of the square. The next afternoon, we decided to try the local tram. 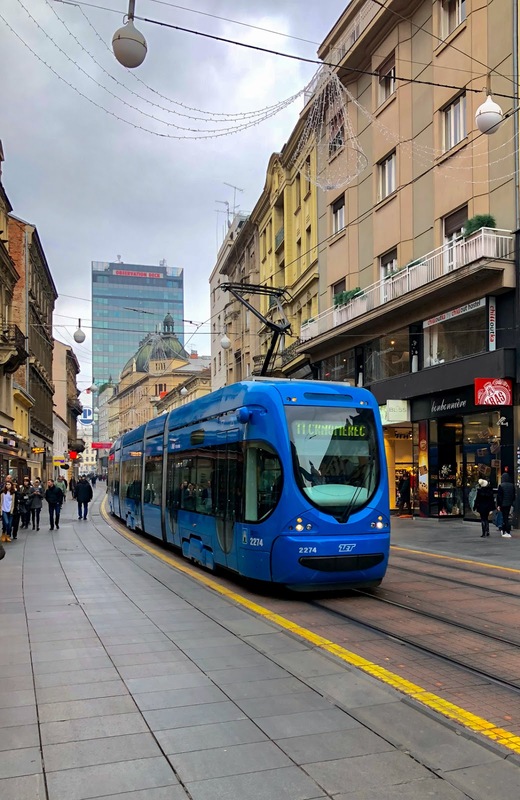 After about a 15-minute wait, we caught the tram right into the city center for about 30 cents each. For comparison, an Uber ride from our hotel was about $3. We arrived at about 1pm and the temperature was again about 40 degrees. The low that night would be 28. 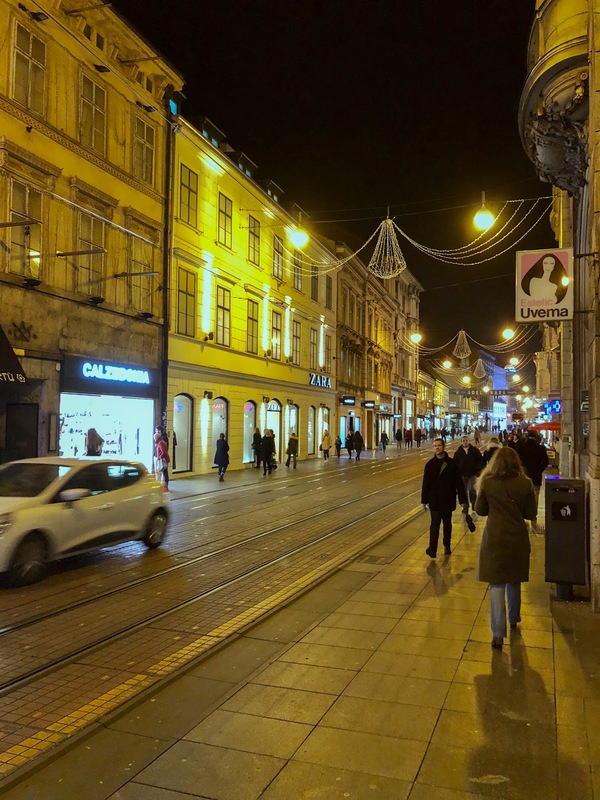 Wearing our heavy jackets, beanies, and gloves, we walked the streets of the center. Since it was Sunday afternoon, many of the shops were closed but there were a few open for business. Most of the restaurants were open and at about 3pm, a hot coffee sounded really good. We found a nice cafe and ordered the "large" coffee which was quite a bit smaller than a Starbucks tall. It was really good though and it was nice to get out of the cold for a few minutes. 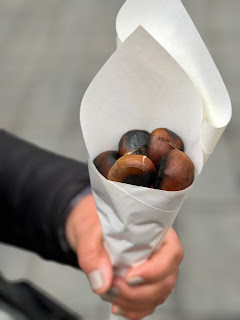 We found the vendor who was selling chestnuts that were roasted on an open fire and decided to try some. Sheri put the first one in her mouth and immediately made a face. She said she was going to need a drink of water because they were kind of pasty. She offered me one and I could see what she meant. The chestnut was warm and soft, but it felt like it was swelling inside my mouth with a dry, pasty texture. One was enough for me until we could find some water. We decided to head back to the hotel and got a workout in at the gym, and then caught Newbreak's video sermon online before heading back to the square for dinner. It was way cheaper to eat dinner in the square than to eat at the hotel, plus the vibe was way better. We ate at a restaurant called Submarina, but it was really more of a burger joint. We carefully picked our table outside so we could sit near a heater. We ordered and split the Smokehouse burger along with some cheese fries that were really tasty. It was a nice day in the city center and if you are ever in Zagreb, you should definitely check it out! Tomorrow we meet with the GIS software company we use to track and map all of our clean drinking water projects around the world. 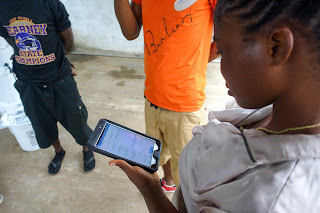 For me, that is one of my favorite parts of what I do as we get to map and quantify the life changes that take place when people receive clean drinking water systems. We are able to eliminate nearly all of their stomach sickness, keep kids in school more days, keep adults working more days, eliminate the need to purchase purified water, and cut their medical expenses way down! I'm looking forward to finally meeting the Croatian team in person! 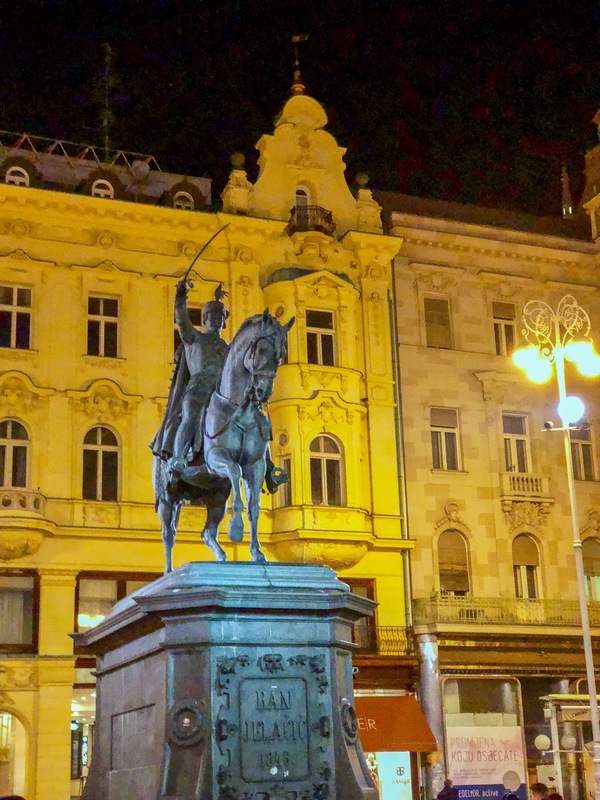 Although Zagreb is a really nice, clean city in Croatia, the people that live here tell us that we should come to Croatia in the Summer to experience some of the most beautiful beaches in the world. Maybe next time. 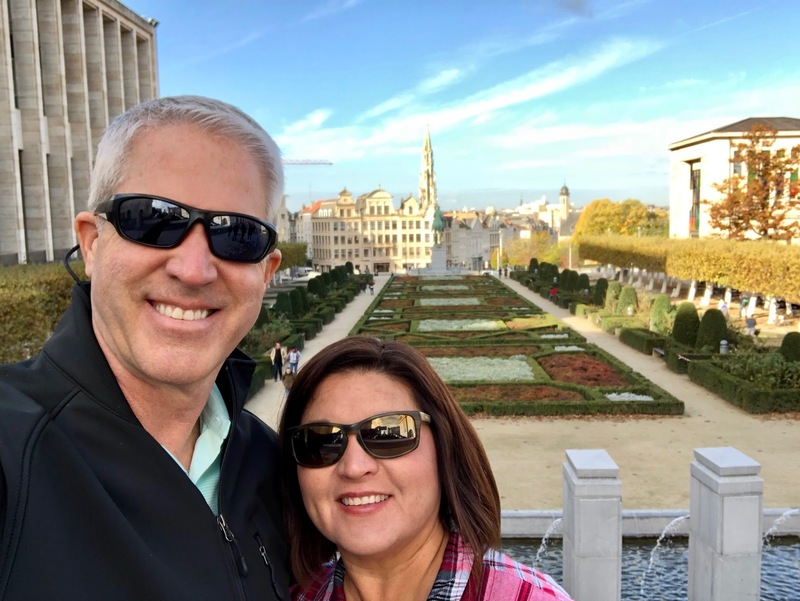 For now, it was a nice break from the warmth of the Southern California weather to experience the brisk temperatures of Europe in the Fall. I'm hoping Fall will be in full force when we return home to San Diego on Tuesday. 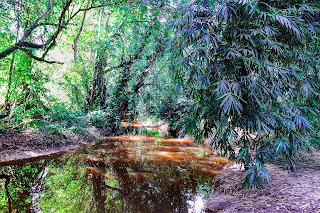 I'll be home for 2 1/2 weeks, then off to Liberia, Africa for more clean water adventures in the bush! What could possibly be better than a beautiful evening in Brussels? Answer: A full day! But that would prove to be "not enough." Our day began with another brisk walk to the Metro station. 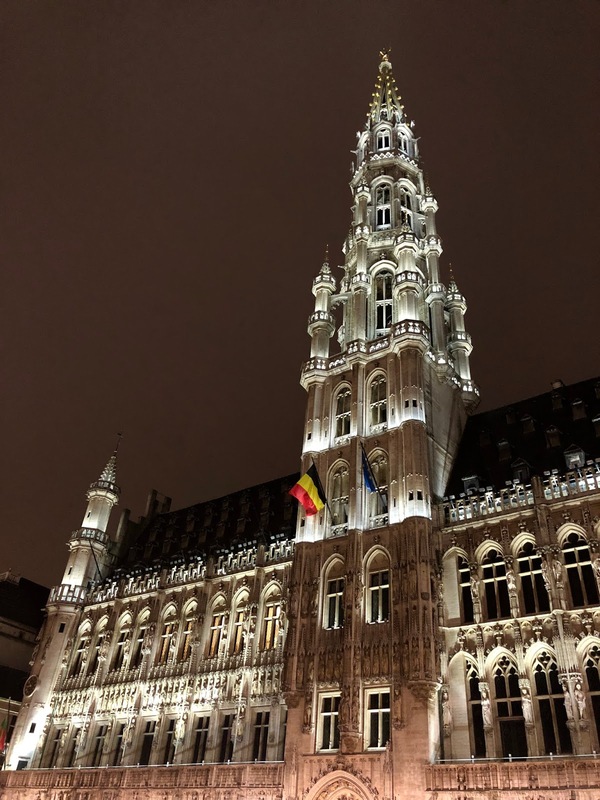 The tram was a new adventure last night but now it was the obvious choice for the most affordable and accessible way to get around Brussels. The first thing I noticed in the daylight was that Fall was in full force with beautiful colors throughout the city! We were at the end of the tram line and 15 stops later, we reached the heart of the city. 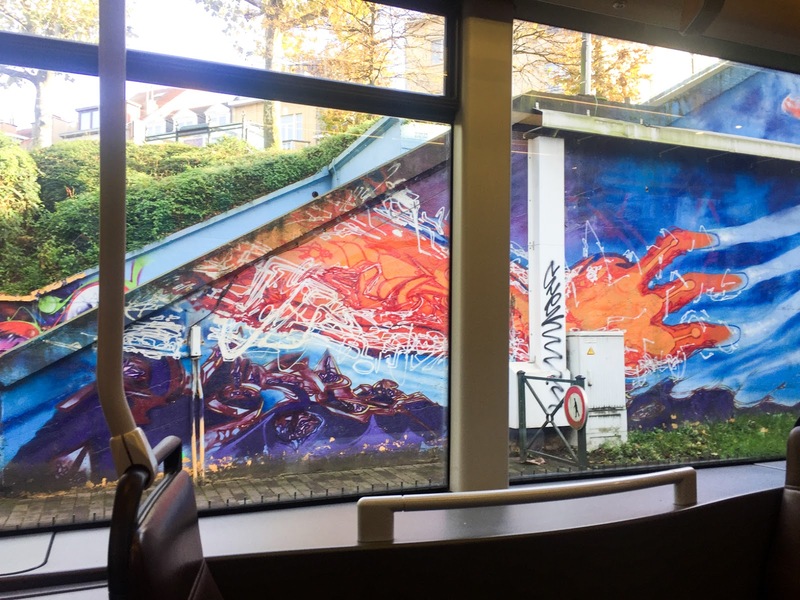 The tram line gave us a good look at what I would call "purposeful graffiti." 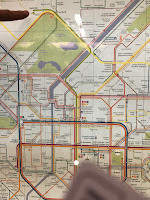 I've seen many city tram lines with random graffiti that is riddled with attempts to grab power or determine territory. 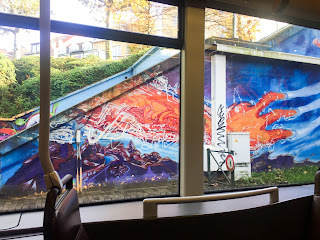 In Brussels, graffiti was more of a giving display of artistic expression. There were miles of extensive, beautiful murals. None of them seemed to overlap, but rather shared in a collaborative expression of the diverse gift of life. I found it very refreshing and wished other cities would borrow this idea. As we exited the tram, the city was just as bustling as the night before. The air was cold enough to see your breath, but still enough that a medium jacket kept us warm. We were excited to see that many more businesses were open in the day. 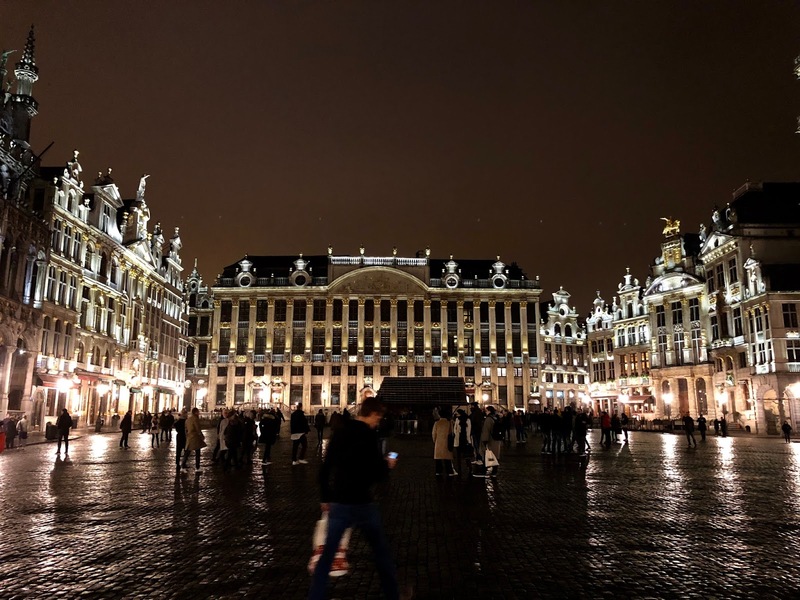 I thought Brussels would be more of a night town, but many businesses close around 7 or 8pm. The chocolate stores were in full force and we went back into a few of them to take care of a few holiday requests. As we made our way into the Royal Place square, the architecture was even more stunning. I don't think I noticed all of the gold trimmed buildings the night before. It was beautiful in the daylight! 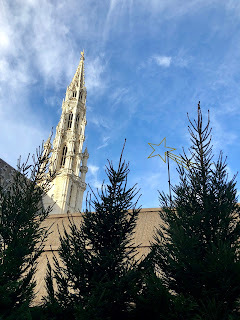 I found myself wishing we were here two weeks later as we could see all of the Christmas decorations being hung throughout the city and we could tell that Christmas time in Brussels would be a beautiful sight to behold! Leaving the heart of the city we walked up a large hill to what would turn out to be the museum district. There were majestic buildings with ornate courtyards and scenic lookouts. We were definitely at the highest part of the city which gave us an incredible view back towards the Royal Place. It was worth the walk! We ventured into one of the museums that featured a collection of rare books. There were 15th century Bibles on display as well as original era "Romeo and Juliet" copies. Even though I couldn't understand much of the placard descriptions, I felt the richness of history on display. The museum was free and I'm so glad we went in. At the top of this section of the city was a collection of very nice hotels like the Hilton and Marriot. I looked them up on Trip Advisor and found out that they were only 2/3 the price of the hotel we stayed at near the convention center, and WAY nicer. In hindsight, I think I still would have picked the convention center hotel due to its proximity to the EXPO. I can't imagine hauling all our convention gear from the city square area. 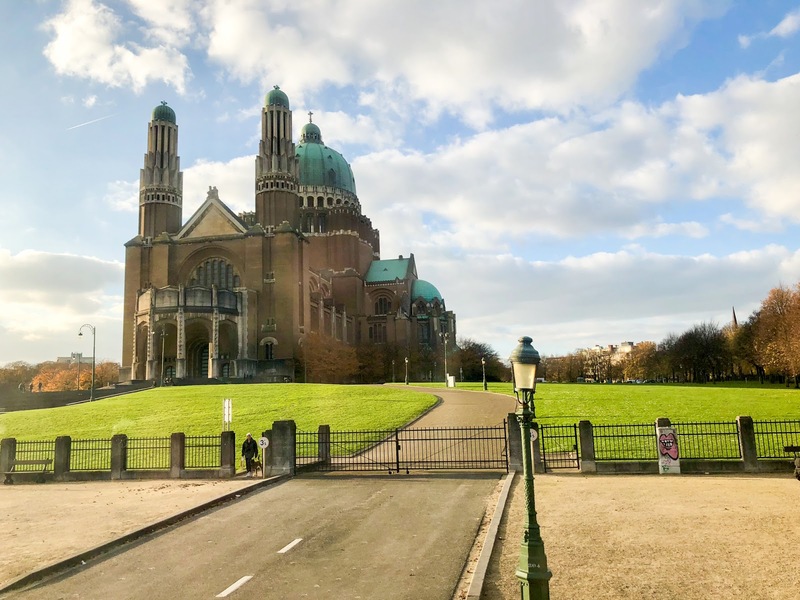 That said if you come to Brussels and are not here for a convention, consider staying up the hill from the Royal Place. 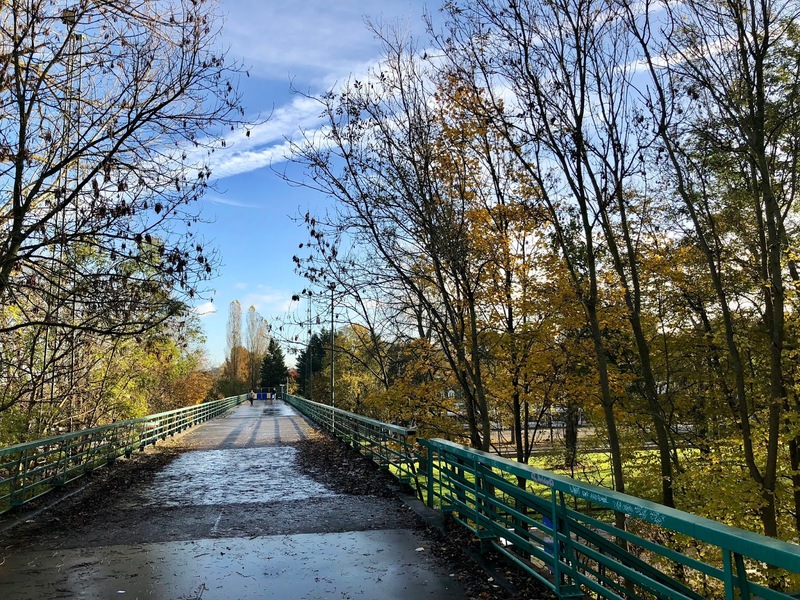 It's about a 1/4 to 1/2 mile walk, but the area is safe and the walk will help your Fitbit. We spent a couple of hours at the top of the hill and by now the sun was starting to set. It's amazing the difference in temperature between 2pm and 3:30pm. A slight breeze made us wish we had our heavier jackets instead of the medium ones. As we walked down the hill I could feel my face starting to freeze, not my favorite feeling in the world. We really wanted to see a bit more of Brussels so we decided to take the Hop on Hop off bus around the city. Both levels were heated which was nice. Sheri and I have loved this tour in all of the cities we've visited and this one was worth it too. I'd recommend it if you ever come here. After our bus tour, we made our way back to the square for a hot beverage. Starbucks was the choice and it hit the spot. Our day in Brussels was drawing to a close and we wished we had one more day to explore the Atomium and Mini Europe. Maybe next time. There is so much to see in Europe and one of these days we'd like to see it by train. 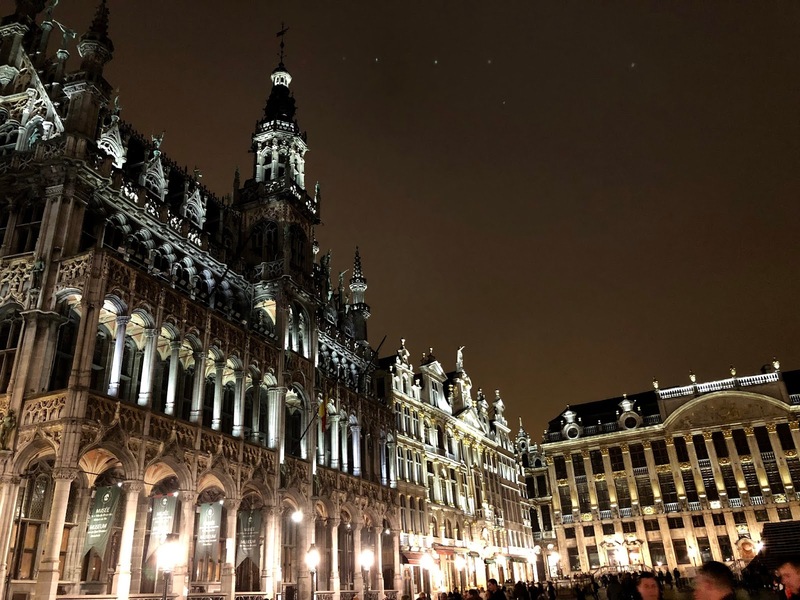 Brussels is a city full of history, beautiful architecture, and the smell of waffles, chocolate, and tiny coffees. It is also the home of NATO and the capital of Europe. Brussels Expo is home to many worldwide conferences and that is where I would start my week. Welcome to the North where in November, it is dark until 7:30am and the sun sets before 5pm. A 43 degree high makes for some cold weather for a Southern California boy who is used to traveling in hot and humid places with lots of mosquitos. Our first morning started with a brisk walk to the AIDex Brussels conference where we finished setting up our booth before the crowds arrived at 9:30am. 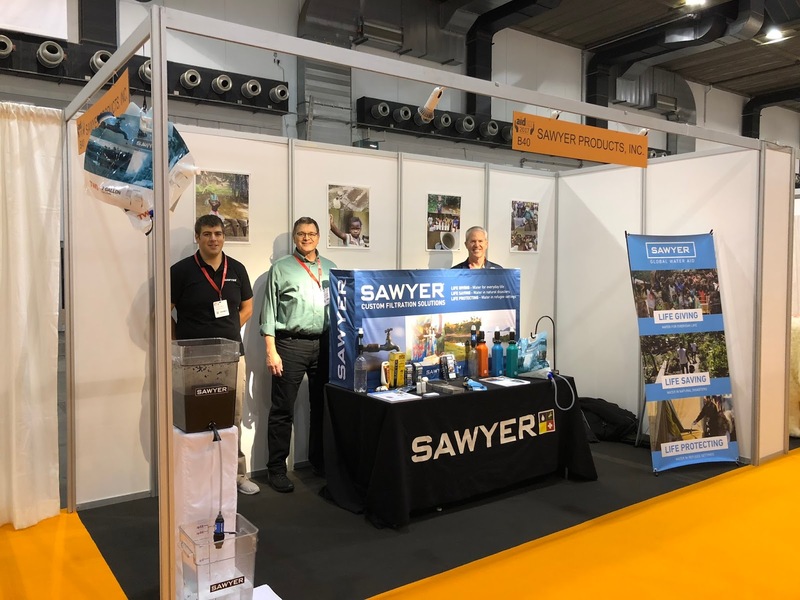 AIDex is the largest relief conference in Europe and Sawyer was a featured clean water company amongst a sea of Government and Non-Profit organizations from Bangladesh, India, the Philippines, African nations, and European agencies focusing on the Syrian refugee crisis. 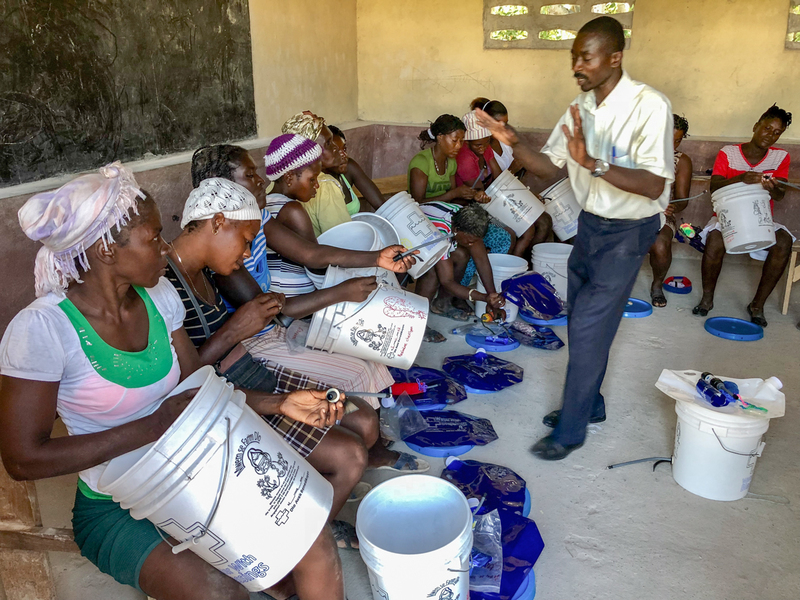 A highlight for me was getting to talk about Fiji and Liberia which both have border-to-border clean water efforts going on, and are the only 2 countries in the world where 100,000 Sawyer water filters are being deployed as part of the clean water solution! 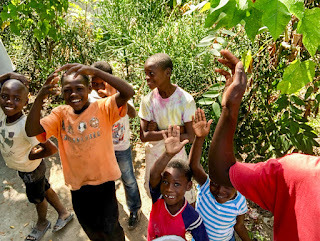 Getting to be a part of these clean water projects, plus many others around the world is a great thrill! Thursday morning before we headed to the convention, I was eating breakfast and felt a little tap on my shoulder. I turned around to see my wife's smiling face and I was so happy! 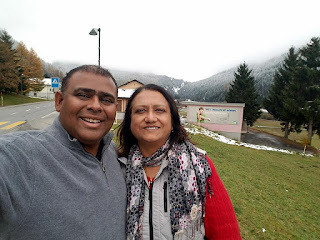 She had just flown in from San Diego and I knew this trip was going to be extra special with her there! 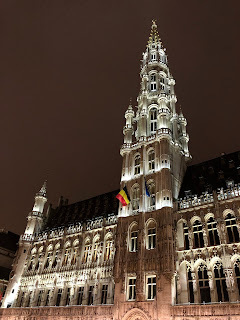 As the convention wound up on Thursday, we decided to head to downtown Brussels for the evening. It was cold outside, but not as bad as I thought it would be. From our hotel, we walked about a half mile to the local metro which is an awesome trolly system in Brussels. You can take a train just about anywhere in Europe! 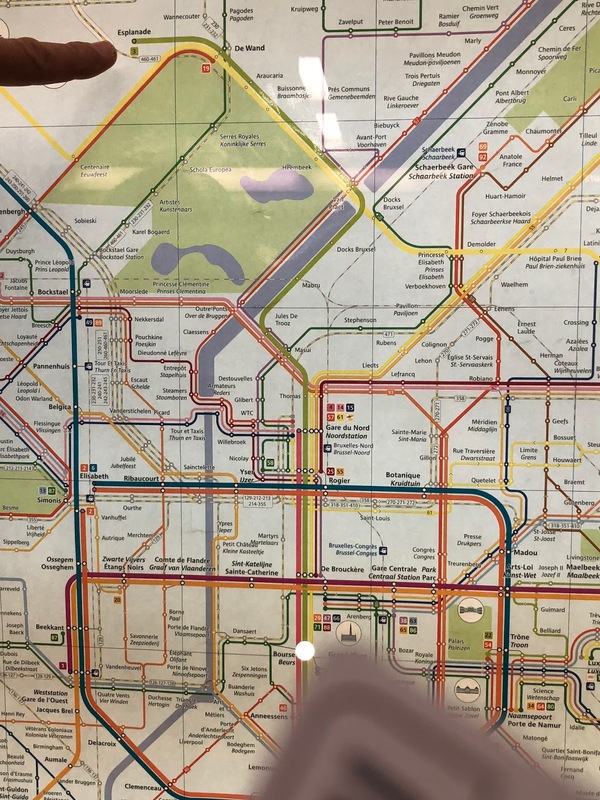 We took the metro right into the heart of the city. The night skyline was lit up and very beautiful. The cobblestone streets and historic buildings made for a picturesque setting. 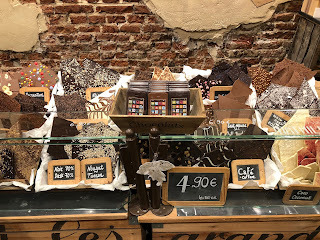 One of the first things we noticed was there were tons of Chocolate shops! 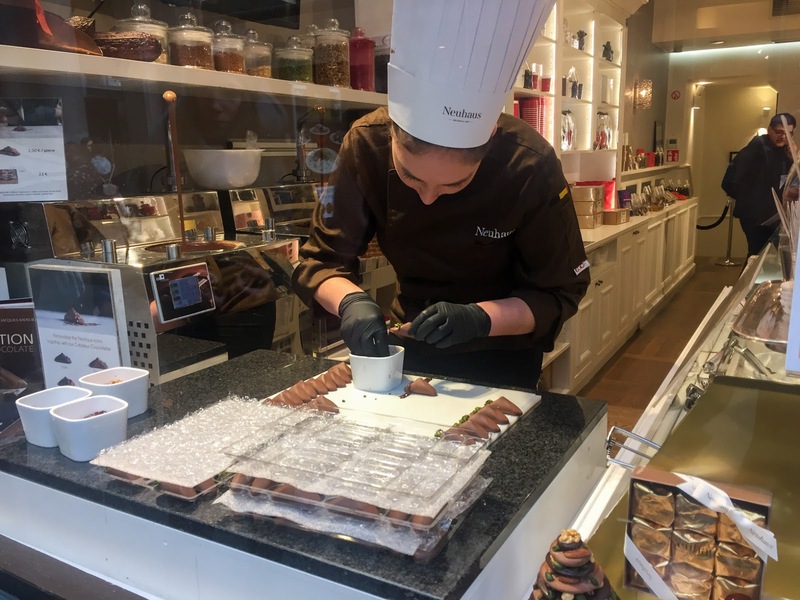 Brussels is home to some of the world's best Chocolatiers and their artistic crafts were on display in the storefront windows. Of course, we had to go into a few and try some samples. Some shops were very affordable and others were quite pricey, but they all smelled yummy! After our chocolate appetizers, we decided to find somewhere for dinner. There was one particular street that was lined with restaurants and reminded me a bit of Little Italy in New York City. Outside every restaurant, there was someone recruiting customers. They all had a good sales pitch and we listened to each one, only to find ourselves back at the very first restaurant we saw. Now I'm a pretty boring foodie when I'm at home, although I do like trying new things. When I'm traveling I do try to branch out every once in a while and try something new, if I can ID it and it's not still moving! This time, I went for the steamed mussels and fries. I had never tried mussels before because they reminded me of my childhood days when my dad, brother and I would go down to the beach and surf fish. The bait of choice many times was mussels. 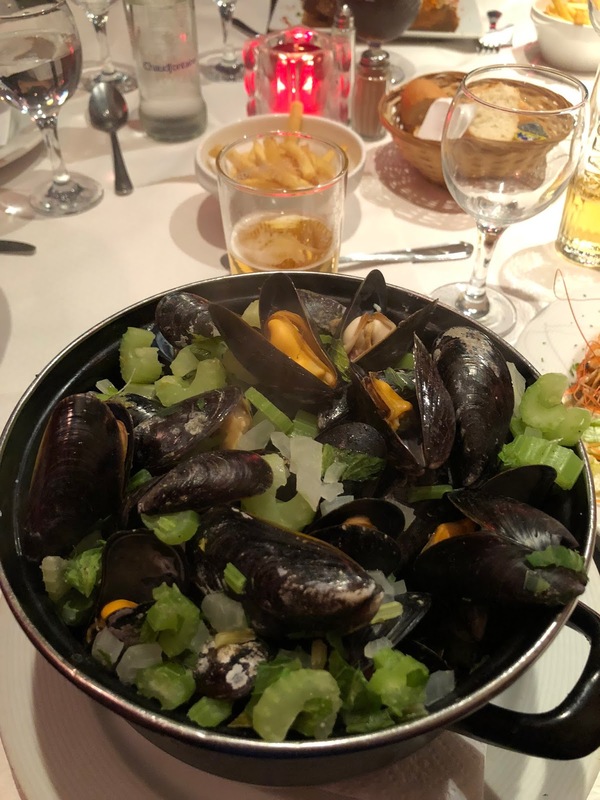 The thought of eating that for dinner was never very appetizing, but I figured I would try it out when they told me that mussels were like clams and I like those. They brought me a bucket of mussels, one so big, you would definitely have to "believe in yourself" in order to eat it all. So let's just say I really believed in myself that night. Eating a bucket of mussels was a bit like drinking a gallon of milk with a swizzle stick. There was a lot of work with small amounts of progress along the way. They were good though as they were cooked in a nice broth with celery. 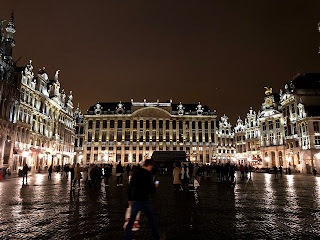 After dinner, we took a walk to the Grand Place square which was beautiful! 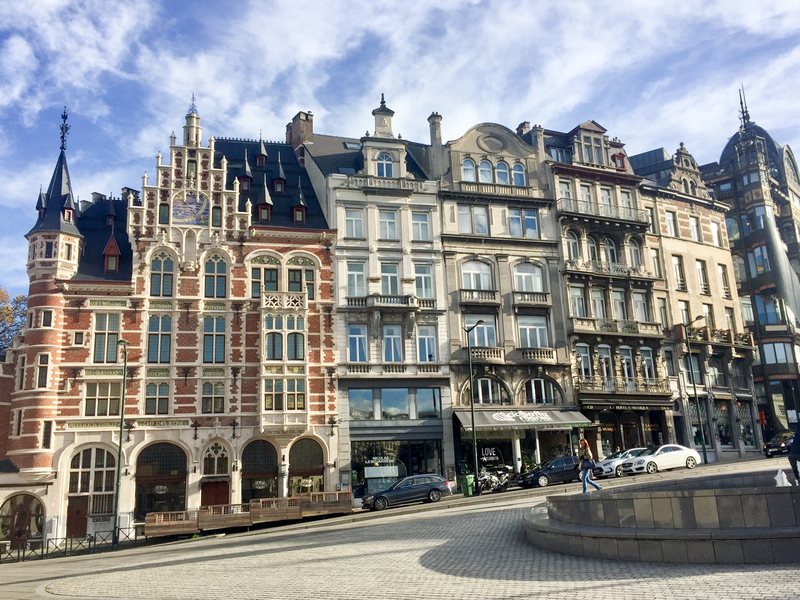 The architecture was stunning in this 360 view of Belgium royalty! There were many chocolate shops that lined the bottom floor, and to my surprise, a Starbucks. 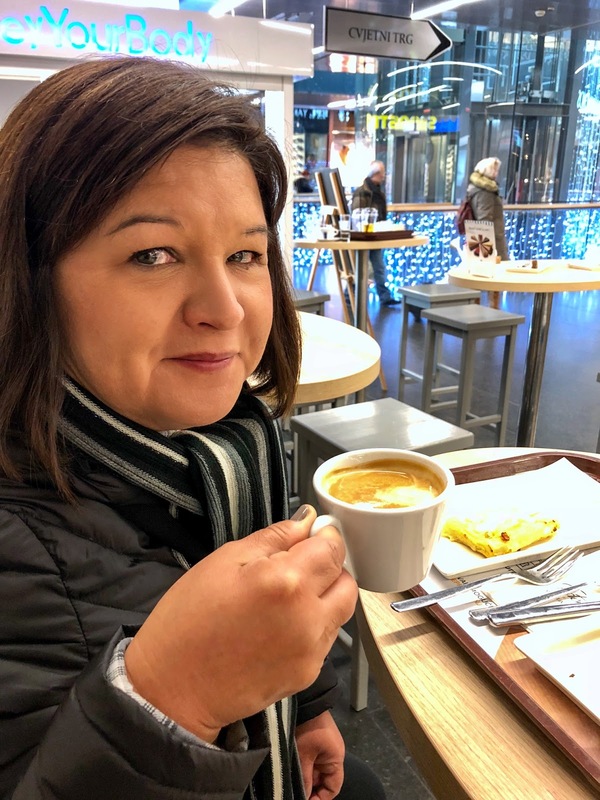 I refrained from Starbucks that night, but I have to admit, the thought of it sounded great as the normal cups of coffee in Europe are so tiny! I felt so American in that moment and realized how we have really grown to like our large cups of coffee! After all, we all drink it for the anti-oxidants right?! For dessert, we had to try a Belgium waffle place. 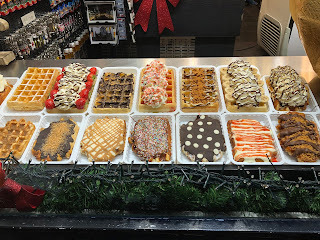 There are many waffle shops to choose from but we found one that served them with ice cream, fruit, and whipped cream. Mine came with fresh strawberries, pistachio ice cream, whipped cream, and a drizzle of Speculoos...aka cookie butter. WINNER! Sheri went a little more simple with a plain waffle with Nutella. After our dessert, we were stuffed and I looked for a place to throw away my trash. I looked across the street and saw what looked like a fancy trash bin. As I opened it I got an eerie feeling that this might be a mail delivery bin. My hunches were right and I'm so glad I didn't throw my trash in there! Funny moment! If you are ever in Brussels, you have to see it at night, especially the Royal Place! Knowing that we'd be back tomorrow in the day, I wondered what the daytime would be like. Stay tuned.